Do you owe tax to the IRS, Franchise Tax Board, or Employment Development Department? If so, we may be able to help. Tax attorneys Dennis Sandoval and Pamela Valencia both have Master of Law (LL.M.) degrees in tax law and Dennis is certified by the California Bar Board of Legal Specialization as a Taxation Law Specialist. For over two decades Dennis was also an Enrolled Agent with the IRS. In some circumstances we can eliminate or negotiate a levy or wage garnishment you may have received from the IRS or FTB. The sooner you involve us the more likely we can get a release or reduction of the wage garnishment. It is very important that you do not ignore Notices of Intent to Levy and that you involve us in assisting you as soon as possible. We can assist you in negotiating an installment payment to pay off your past due taxes to the IRS, FTB or EDD. To establish an installment agreement you must first get current with your taxes for this tax year. If an installment agreement is negotiated, you should stay current or promptly inform the taxing authority of your short term or long term inability to comply with the agreement. Sometimes there is a legitimate reason you may not owe the taxes that the taxing authority says you owe. If so, an Offer in Compromise based on Doubt on Liability might be appropriate. In other cases, you may be unable to pay the full amount of the taxes you owe. In that case, an Offer in Compromise based on Doubt of Collectability may be appropriate. When evaluating the amount you can pay, the IRS and other taxing authorities look at the assets you have and your projected earnings for the next five years. If you do not believe that the results of your audit are correct, we can appeal the audit findings if you have a legitimate reason to do so; however, you must act quickly. Contact us right away. Only an attorney, CPA or enrolled agent may represent a client in an appeal. A tax preparer who is not part of the preceding cannot represent clients before an appeal officer. If you wish, you can skip the appeal process with the IRS and go directly to Tax Court. 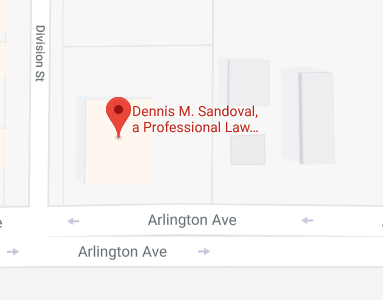 The attorneys at Dennis M. Sandoval, a Professional Law Corporation represent taxpayers in the United States Tax Court and the Ninth Circuit Court of Appeals for matters against the Internal Revenue Service. We also represent taxpayers with matters in state court against the Franchise Tax Court, Employment Development Department and the Board of Equalization. Call our Riverside office to schedule an appointment to evaluate your case. Although the vast majority of taxpayers will not pay an estate tax, it may be advisable to file an estate tax return to elect portability in order to avoid losing the unused estate tax exclusion amount provided to the first spouse to die. For those taxpayers with estates that will owe estate taxes (larger than $11,200,000 for unmarried persons in 2018, as large as $22,400,000 for married couples), many planning strategies can be implemented to reduce the estate tax due upon the death of the unmarried person or the surviving spouse in the case of a married couple. Our tax law firm specializes in assisting taxpayers with advanced tax planning strategies. We can assist you with planning for business start-ups and acquisitions, sales of businesses and appreciated assets such as real estate, reduction of income tax and estate tax, and charitable planning. If you are in need of tax planning or tax controversy services, contact our Riverside office at 951-888-1460 to schedule a consultation to discuss your circumstances or contact us online.